With the imminent solar eclipse, many of us have attained a glimpse into the effects of universal solar consciousness. All of us at some level or another has wondered the effect of this eclipse on us. Many of us have been preparing for this in some shape or fashion. What exactly is solar consciousness? 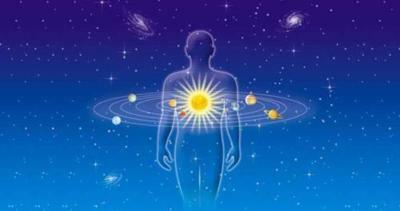 In general solar consciousness is the effect that the Sun has on us mentally, physically, and spiritually. The Sun is Life. It is warmth. The Sun shines its Light on all and expects nothing in return. It nurtures all life: from plants, to animals to humans. 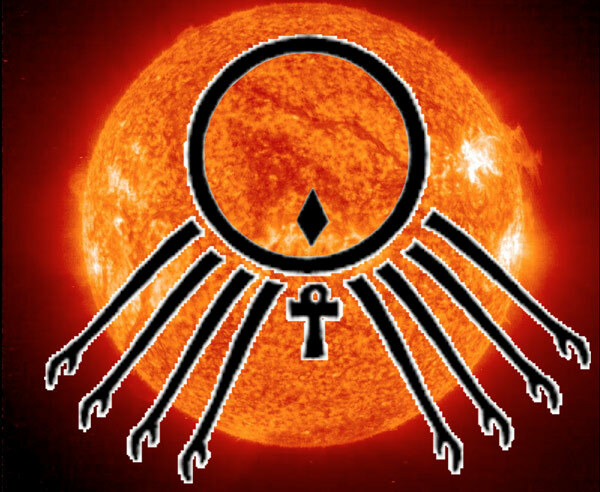 The Sun is directly related to our consciousness. Solar activity awakens consciousness. Solar storms effect our nervous system and brain activity. Our thoughts and feelings effect the electromagnetic field around us which is also connected to the electromagnetic field of the solar system and greater cosmos. From my Law of Time studies: The Sun is life. The Law of Time tells us that life itself is the function of a program code originating in the radial matrix of 4th/5th dimensional time. . All of life is involved in the transformation of solar energy (light ascending in ever lighter gradations). We are meant to evolve into higher solar consciousness.According to Cosmic Science, DNA is a 64-unit biopsychic solar life code inclusive of cosmic metabolic codes. In the Quran sura 91 is “Sun”. 91 is the noospheric constant. Sura 24 is “Light” with 64 verses, DNA code. The Sun or “light of God” is described in Sura 24:35. So how can we stay in harmony and attunement with the Sun? So the 13 Moon consciousness harmonizes with frequencies already coded into the solar ring. These are the psi frequencies of other worlds that have attained higher consciousness beyond the evolutionary shift that we are now experiencing on this planet Cosmic History states that when the solar ring (of the Inner Sun) becomes completely conscious, time and space will be unified and a new level of harmony will be realized. What is BioSolar Telepathy? : Life (bio) attuned to the star (solar) and resonant vibrations of the star (telepathic). A biosolar telepath is attuned to the electromagnetic field and is always receiving pulsations and registrations of the local star. As a biosolar telepath one awakens his/her telepathic capacity. However we can also look at attuning ourselves to solar consciousness in another facet. The sun in our universe is the great example of freedom, for, its light gives life to all things within its sphere of influence and also warmth. There are nine planets in our solar system and each planet’s affair is regulated by the Law of Light that disciplines each planet giving it an orbit in which to rotate, from which it can never escape. In the Bible, Jesus uses these words, “I am the Light of the World.” He was made by Allah (God) to glorify Him, and, the Light of His Wisdom gives life to those whom His Wisdom touches, and, the warmth of His Love comforts those who are touched by His Light. 91:1 By the sun and his brightness! 91:2 And the moon when she borrows light from him! 91:3 And the day when it exposes it to view! 91:4 And the night when it draws a veil over it! 91:5 And the heaven and its make! 91:6 And the earth and its extension! 91:10 And he indeed fails who buries it. 91:13 So Allah’s messenger said to them: (Leave alone) Allah’s she-camel, and (give) her (to) drink. 91:15 And He fears not its consequence. 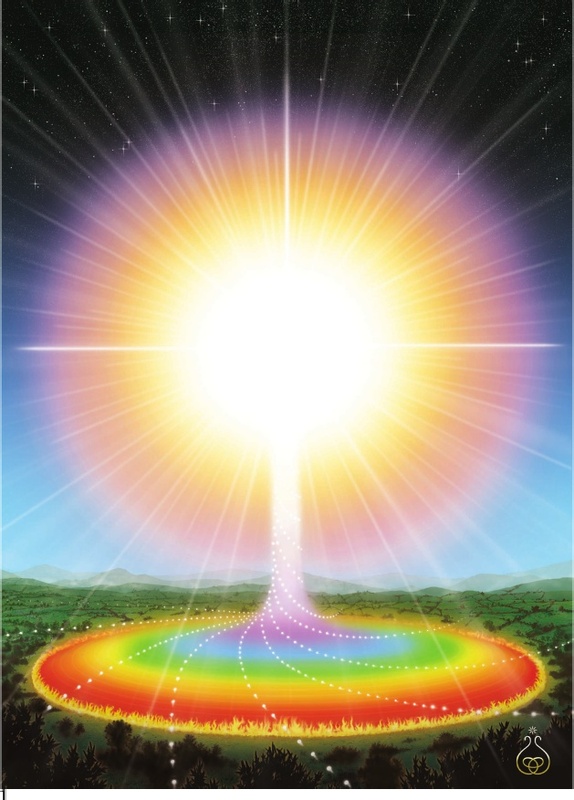 Will is the quality of alignment of the third-dimensional self with the fourth-dimensional soul essence, as guided by the fifth-dimensional guardian or angel.